Why is Investing in Software Testing Labs and IP-led testing Crucial? Long line of teaching bots are being designed to deliver various functions and automate processes. The latest instance is Root, a new code-teaching robot that is programmed to inspire students in Science, Technology, Engineering, and Math (STEM) studies. What it brings for us is something new and fresh, pumping high volumes of anticipation and reinforcing the need for Quality Assurance. While Root is yet to make a real entry, the bot has been designed to teach coding skills right from kindergarten folks to the adults. Enterprises are leveraging various testing mechanisms and platforms to test various products, services, applications, devices, etc. 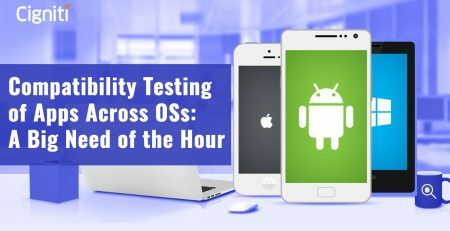 Whether it’s a Google Pixel, Apple iPhone, or a Samsung Note, testing it for uniqueness and performance is indispensable. Digital Transformation is changing the dynamics of testing software and applications to make it ready for the digital landscape. So, testing within a holistic environment is absolutely crucial. The digital customer needs a connected interface and a solution over a single platform. Considering all these aspects while testing and enabling integration is essential. This further reinforces the need to leverage Test Environments. How do companies respond to varying customer needs in the digital landscape and ensure enhanced customer service? A dedicated Testing Center of Excellence (TCoEs) with testing frameworks takes your Quality Assurance (QA) initiatives to a new high. This could, and will, help enterprises to adapt to the ongoing digital turmoil. The immediate impact is obvious – reduced time-to-market, assured security, enhanced performance, and consistent customer satisfaction. Additionally, a dedicated testing lab can help find flaws in the design, processes, and defects in performance, incompatibility with hardware/software. So, not just for speed, but also for quality and transformation, enterprises are moving towards overall automation. What is a Testing CoE and why leverage it? It is a comprehensive framework that helps businesses to establish strong QA processes. It is built with assets – People, Process, and Technology – woven together to ensure quality. The implications are clear, a well-built Agile TCoE can drive continuous improvement and bring effectiveness in the QA initiatives. Quite the reverse, an inadequately designed TCoE can bring in unnecessary processes and death to the ultimate goal with ‘uncalled’ bureaucracy. What you need after such volumes of investment is continuous improvement and constantly enhancing performance that fails to derail your testing efforts. How do you ensure that? The steps for building a strong CoE very much define the ultimate objective that you want to achieve. Additionally, IP-led solutions enable you to build responsiveness towards inherent challenges in a volatile economy, where the solutions remain particularly focused on leveraging tested Frameworks and Accelerators. These Frameworks and Accelerators are built and applied for various domain-specific clients across various scenarios. Digital Transformation continues to drive the IT strategy and create ripples in the QA and testing space. At the same time, the buzz around Agile and DevOps continues to grow in the QA space. In a scenario like this, businesses are increasingly adopting automation by leveraging Testing Frameworks and IP-led testing services. At the same time, challenges are also increasing around managing and bringing down the costs of maintaining Test environments. There is a constant requirement to find efficiencies at every stage in the QA process, where testing remains a challenge and cost to bear. Leveraging Test Automation frameworks and Accelerators is the most obvious solution for business today. A TCoE provides a holistic approach to attain excellence for a testing organization or unit. The proprietary framework comprises core elements that address all aspects of an organization. This puts additional pressure on businesses to deliver and be resilient in this digital age. There is a pounding need for end-to-end testing under varying scenarios. There are multiple functionalities to be tested under various operating systems and for various devices. Devices with different resolutions, shapes, and sizes pose tremendous compatibility issues. There are massive investments that brands make to go and live the digital dream. Ultimately, there is a clear indication to garner higher ROI from all these investments. So, the pressure is on getting the application market-ready that proportionately puts pressure on the testers and developers. Having the right infrastructure in place helps leverage capabilities like Test Environments, Testing labs, IP-led testing labs, comprehensive Testing frameworks. The ultimate aim is to please the users and get the application/product faster into the marketplace. In this way, businesses continue to leverage the best practices to sustain productivity and ROI to ultimately meet market expectations. Moreover, as enterprises progress into the digital space, there is a need to test and integrate the legacy systems within the new age digital landscape and make them ready for the future applications. There is a constant requirement to upgrade the existing systems and test them for any expected contingencies. 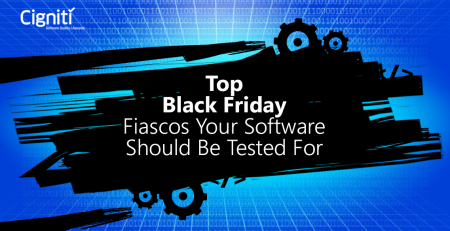 This creates and reinforces the need for independent software testing, where businesses can leverage third-party expertise to bring value and assured capabilities in testing, making the process more scalable. Enterprises are looking at minimal investments and leverage third party services that bring expertise and are scalable. 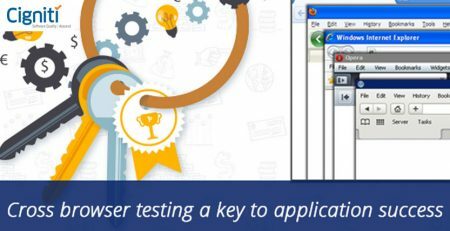 At Cigniti, our specialist software testing services are backed by Proprietary Testing IP (Enterprise Test Acceleration Suite – ETAS) for enhanced productivity and in-house R&D teams. We have provided independent software testing services for more than a decade and have enabled clients to achieve substantial market acceleration and higher ROI in their QA initiatives. We offer a combination of proprietary R&D and Intellectual Property around software testing and also provide access to a huge talent pool of specialized career testers. With our IP-led Test Accelerators, we have helped clients across various industries to realize benefits from their testing efforts and get commercially viable. Connect with us to leverage our Software Testing Labs, IP-led Testing services, and Testing CoEs to streamline and accelerate your QA initiatives, and ultimately achieve bang for your buck!